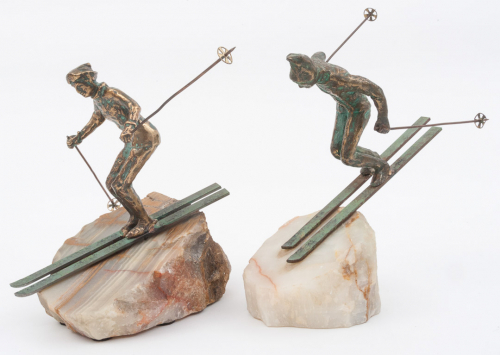 A beautiful pair of bronze sculptures by Curtis Jere modelled and caste as skiers on a sloping onyx base signed and dated. USA 1970`s. Can be sold individually or as a pair.